All aboard early morning at 5am. Return to Hurghada marina around 18pm. At least Advanced Open Water and 50+ dives logged. 2 dives on site, dive guide. 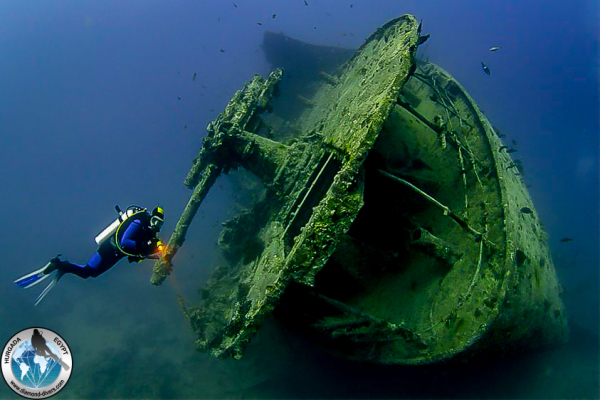 Ready for a wreck dive experience of a lifetime? In that case, you simply have to come on board for our next trip to the SS Thistlegorm, one of the most famous wrecks in the Northern Red Sea area. 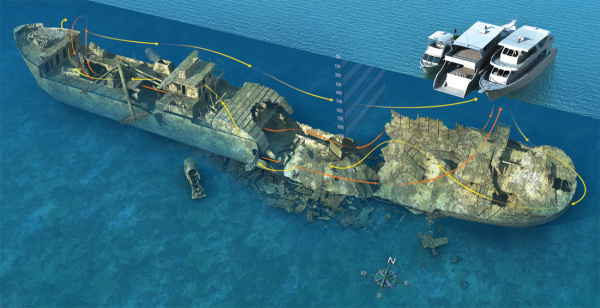 Here you can find all info about the SS Thistlegorm. The trip to the SS Thistlegorm takes about 4h to 5h depending on the sea conditions. However, there is plenty of room on board to enjoy the sun, study for your next certification level or simply relax.